One of my favorite parts of my work is being able to share my passion for flowers with others. 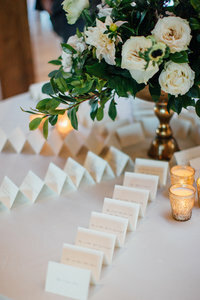 In fact, I’m so passionate about flowers that I can’t stand to throw them out after our events! 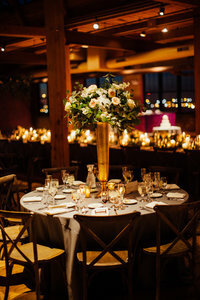 Most of our clients rent vases and candles from us, so we return at the end of the event to retrieve the vases and candles. More often than not, the flowers are still in the vases so they come back to our studio, too. Since it pains me to throw them away, we’ve created a program to extend the life of our post-party flowers: ReBloom. Donated centerpieces for Ravenswood Community Services’ weekly community dinners. I didn’t keep track of how many times, but several! Hosted three ReBloom volunteer workshops at Pollen’s studio. Volunteers made arrangements, then delivered them to the residents of Saint Joseph Village of Chicago. We usually make 50-100 bedside arrangements, meaning most residents get flowers for their rooms! Provided a floral design demonstration to the residents of Saint Joseph Village of Chicago. Took ReBloom on the road with an on-site workshop at Soho House. Pollen dropped the participants’ completed arrangements off at Woodbridge Nursing Pavilion in Humboldt Park. Donated flowers to Trio Animal Foundation for their fundraising event, Not All Superheroes Wear Capes. Donated flowers for ALIVE Rescue‘s Lucky for Life gala. Donated flowers to Deborah’s Place for their holiday event. Donated flowers to One Tail at a Time for their pop-up fundraising dinner, Dog’s Day Supper, at Emporium. For 2019, we’re doing all we can to line up a busier year at Pollen, which will mean we can host our volunteer workshops more regularly. We also plan to expand our ReBloom workshop programming by offering private ReBloom workshops to companies looking for team-building experiences. By offering fee-based programming for private workshops, we can support the other efforts of ReBloom, which are unfunded and made possible through donated time from me (Lynn), Clare, and our volunteer participants. 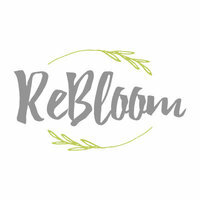 Want to get involved with ReBloom? Join our email list to find out about our volunteer workshops here. Follow along on ReBloom’s Instagram and Facebook. Donate your mason jars, jelly jars, and other small vases for use for our workshops. Talk to your company about scheduling a private ReBloom workshop as a corporate team-building experience. 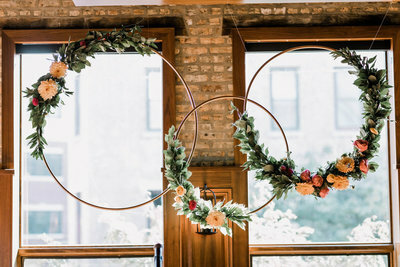 Have them contact Lynn at lynn@pollenfloraldesign.com or call the studio at 773/278-6606 for details. If you’ve attended a workshop or been the recipient of our flowers, leave ReBloom a review on Facebook. And I’d like to say a huge “thanks” to Clare Britt for all of her work as a volunteer with ReBloom! 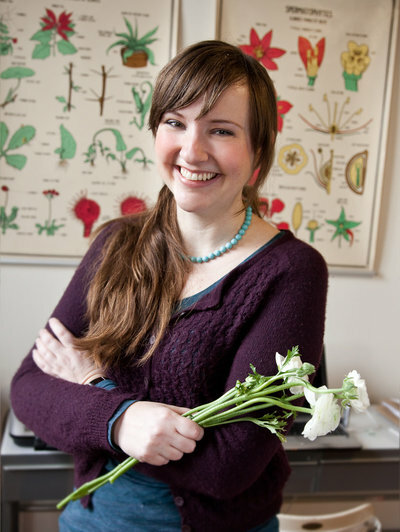 She started as our ReBloom apprentice, learning floral design as she worked on our donations to Ravenswood Community Services. “Apprentice” isn’t the right title anymore, since she’s been doing this since 2016! We’ll just call her a volunteer. 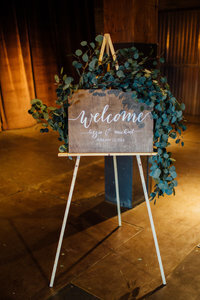 Clare creates the centerpieces for RCS, delivers them, and assists with our workshops and other donations. Thank you, Clare! And thank you to our past ReBloom apprentices and volunteers!